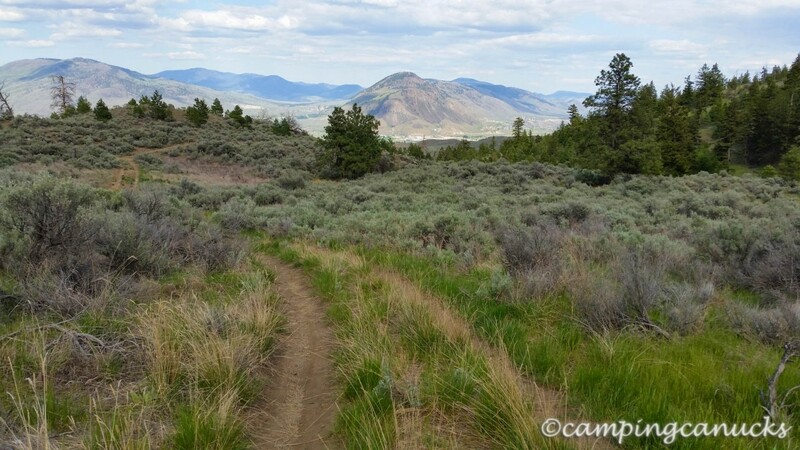 Here in Kamloops, we are lucky to have some of the best places in the province to run and bike in. 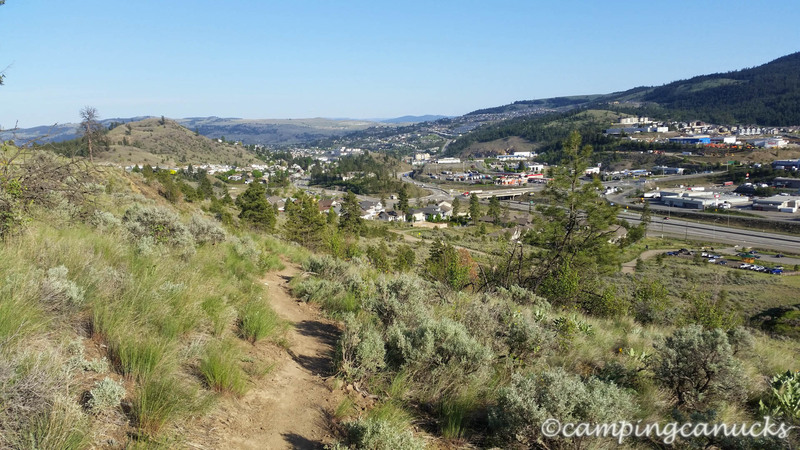 One of our favourite places to do both activities, as well as walking or light hiking, is in Kenna Cartwright Park on the western side of the city. With approximately 40 kilometers of trails of varying difficulty, there is a lot of variety that can make each time we run or bike in the park feel like something different. As well, we have both used the park to test out new gear, such as boots or packs, to see how they feel before we hit a ‘real’ trail. While you will sometimes get some funny looks heading up the hill with a loaded backpack, it’s still much better to field test gear close to home than to be far out on a trail somewhere and find something isn’t working for you. Do note, however, that this is a multi-use park and can get quite busy with people running, walking, biking, or just taking a dog for a stroll. On a bike, we really do have to pay attention sometimes as there are a lot of blind corners and you never know who or what is around them. As a lot of people run or bike with their dogs, they can also be a challenge. In fact, I’ve taken to carrying bear spray along when I bike now due to the number of times dogs have charged aggressively at me. That’s not to say that all the dogs up there are an issue but there does appear to be quite a few that are. There are a few different entrances to the park and we will use different ones depending on which trails we want to do or how hard we want a run or bike to be. The lowest entrances, such as the one at Home Depot, make for the longest climbs to the top but are also the fastest ways to get to the north side of the mountain. The entrance we generally use the most is the main one not far from Versatile Drive. It has the easiest trail to the top and does make a good spot for doing loops around the mountain on foot or on bike. One of our routes is to start at the main parking lot and then head up the Tower Road. 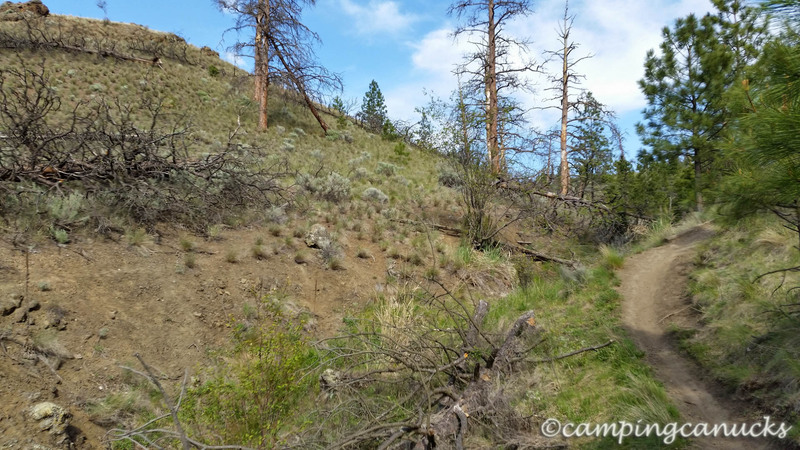 From there, it’s an easy matter to divert up Sunnyside, for some tougher trails, or continue up to the Ponderosa Trail from which you can go either east or west. We usually go west at this point, which leads into a nice and fast downhill stretch along the Big Pine Trail all the way around to the north side. At the end of Big Pine, you can take a turn to the west up to a viewpoint and the Mesa Trail, or continue around to the north side of the park. 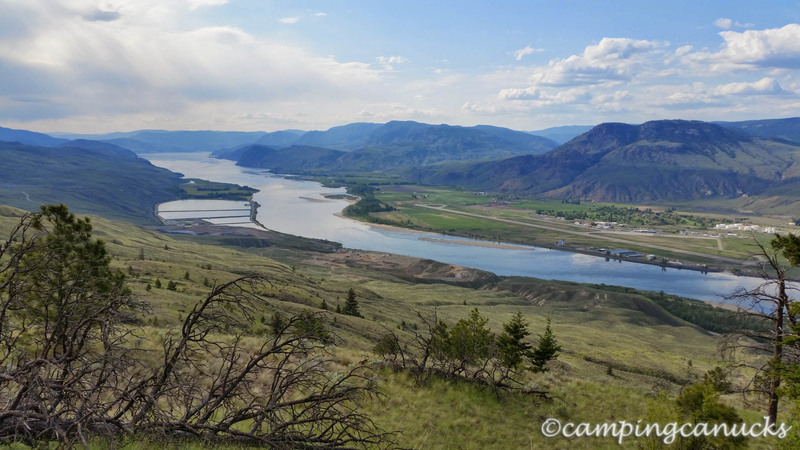 The north side has some of the best views of Kamloops and the surrounding area and on clear days, you can see a long way. 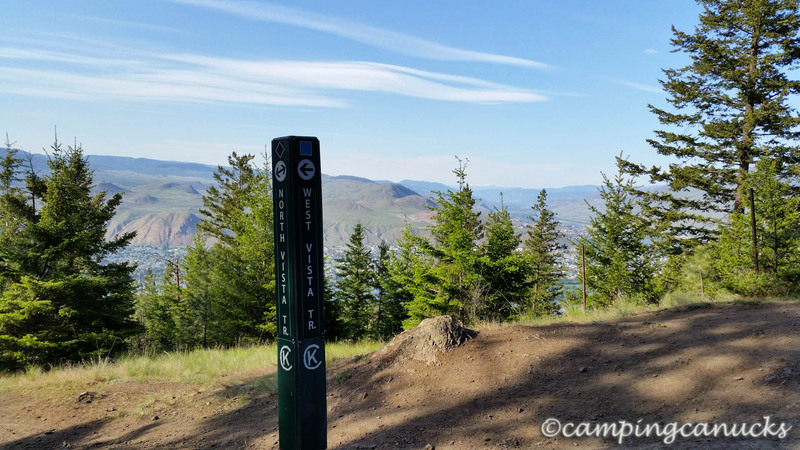 A great place for good views is to follow the Lava Flow Lookout Trail which is easily done on foot or on a bike. From the lookout, you can reach the Blowdown Alley Trail for a quick shot over to Upper Doug Dawes Trail or the West Vista Trail. 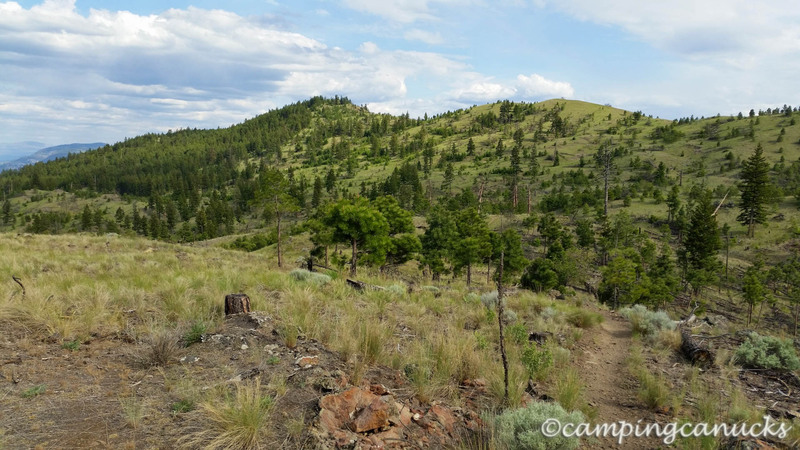 A particular favourite section of ours is the West Vista Trail, as it’s a fun little part to do a speed run on a bike if you’re so inclined and there are generally very few people on this trail. Except for the guy we very often see sitting by trail in the trees on a blanket. Several people have now taken to calling him the Creepy Dude. 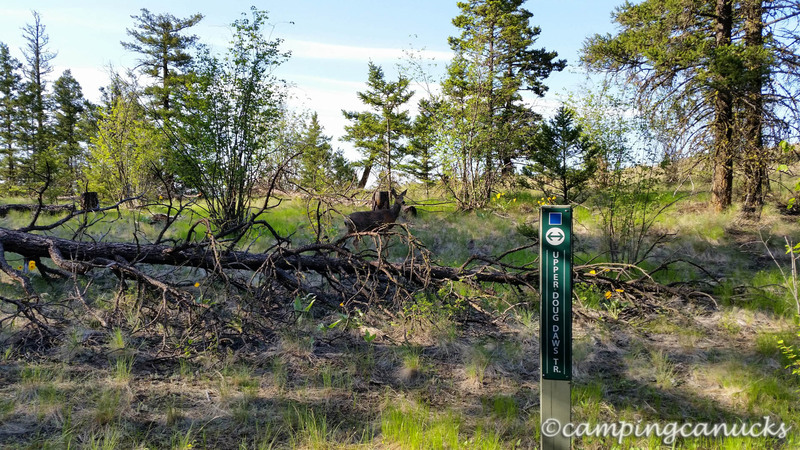 There is quite a bit of wildlife as well to be found in the park and it’s not uncommon to come across deer throughout the area. So far we have not had a close call on a trail while riding, but there have been many times we’ve seen deer right beside the trail. 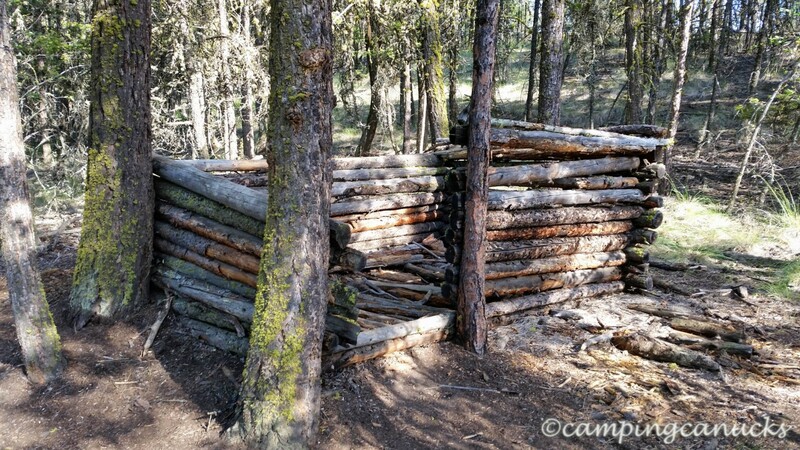 We have also seen grouse, coyotes, a large variety of birds, and many piles of bear crap on the trails. Luckily, we have so far not yet seen the bear, although it’s a bit of a concern that someday we’ll come ripping down a trail and there will be a bear waiting. If for no other reason, a walk around Kenna Park can always be enjoyed for the views. 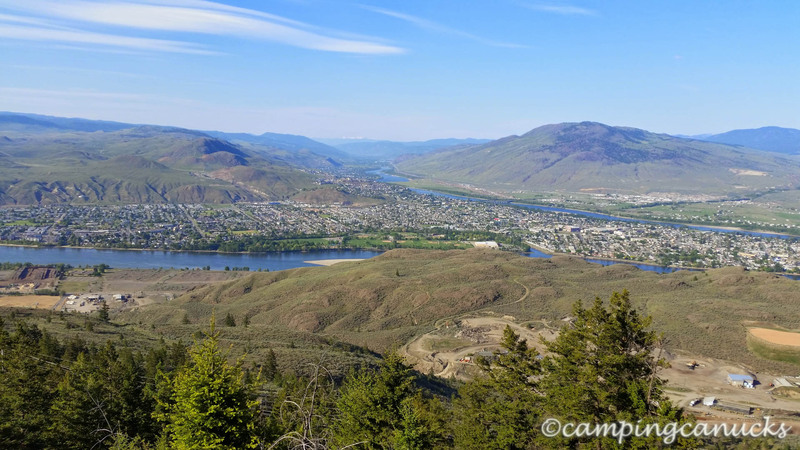 This is about one of the easiest places in Kamloops to get some great views of the city and the meeting of the two Thompson Rivers. Come up for a sunset some evening. It won’t disappoint. While the park can be get busy, there are still plenty of places we can go and still feel nice and alone away from the crowds. Generally speaking, the farther we can go from the parking lots, the less people we will meet. And on the north side of the park, even the traffic and highway noise is greatly diminished. This is a four season park and we find that there is always something to do in the park. Earlier this year, we even saw a lot of snowshoe tracks after some of the big snowfalls. For anyone who needs a break in their day or just a great place to get some exercise, we would certainly recommend Kenna Cartwright Park.